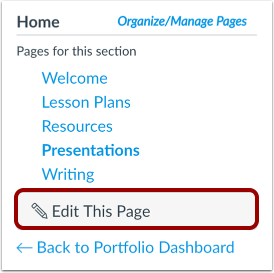 Within an ePortfolio section, you can create pages to add to the section. 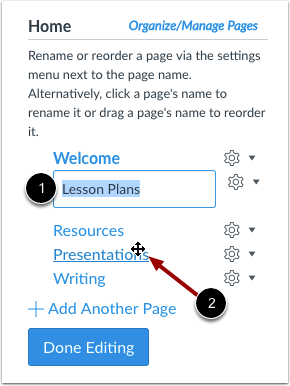 You can also add content to each page in the section. 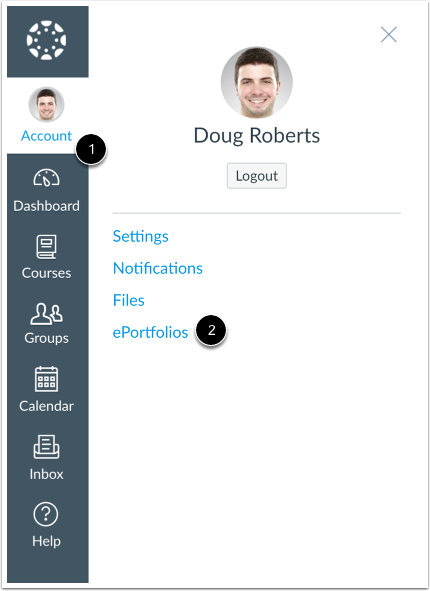 Please note that any content added to an ePortfolio can only be viewed by users who have permission in Canvas to view it, even if your ePortfolio is made public. Click the Add Another Page link. Type the name of the new page in the page name field and press Return (on a Mac keyboard) or Enter (on a PC keyboard). 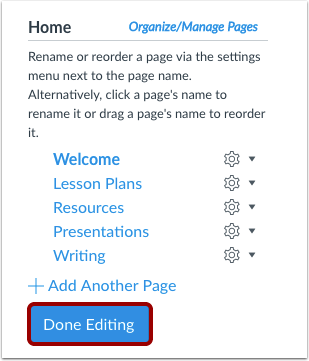 You can edit your ePortfolio pages in the menu. To reorder a page, hover over the page name and wait for the cross arrows to appear . Click and drag the page to the new location. 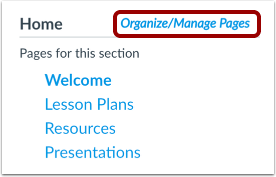 You can also edit your ePortfolio pages through the Settings menu . 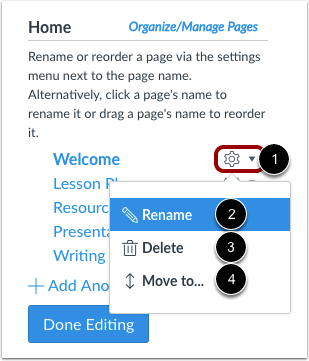 To rename a page, click the Rename link . To delete a page, click the Delete link . To move a page, click the Move to... link . To add content to your page, click the name of the page. You can add content to your ePortfolio in several different ways. 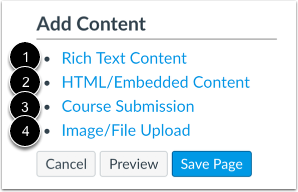 You can add Rich Text Content , HTML/Embedded Content , Course Submissions , or Image/File Uploads . 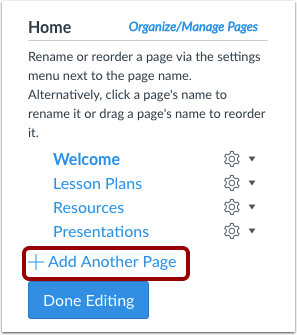 Previous Topic:How do I edit the default page in my ePortfolio section as an instructor? 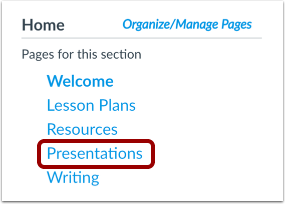 Next Topic:How do I add rich text content to my ePortfolio page as an instructor? 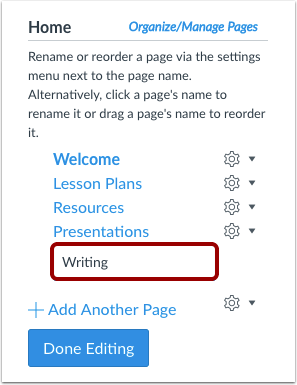 Table of Contents > ePortfolios > How do I create a new page in my ePortfolio section as an instructor?